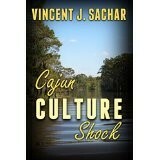 Vincent J. Sachar is an attorney with a passion for writing. He earned his Juris Doctor from St. John's Law School in New York. Despite much success in business, including a position as the youngest executive level Vice President, General Counsel, Corporate Secretary throughout the nation in his industry, Vince is now writing full time, having left his most recent position as a Managing Director in the legal division of a global consulting company. Vince is also an experienced public speaker. In addition to speaking at book events, high schools, colleges, universities, and book clubs, he has addressed crowds large and small (including with foreign language interpreters) and has done so in some very unique situations (such as a prison in Siberia). Vince's wife, Gwen, participates with him. Sachar also conducts radio and internet interviews across the nation and has provided interviews for prominent author websites. Vince is a native New Yorker. Gwen is a native of southern Louisiana. 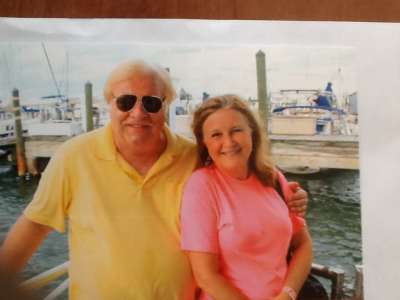 They met while attending Loyola University in New Orleans. Vince and Gwen currently reside in Florida. We'd love to hear from you. We'll send you an intro packet with an ePamphlet on common questions writers get---a fun read for writers and readers. We promise that your email address will NEVER be shared with anyone. Want to explore a book event (live or skype) or a speaking engagement? Contact us here or email at vsach777@gmail.com. Lt. Commander Kent Taylor, a decorated Navy SEAL is stripped of everything he loves and values when his pregnant wife, his young son, and his in-laws all die in a house fire while he is on a covert mission overseas. with no one he believes he can turn to, no one he can trust, and no foreseeable path to justice? In this thriller/suspense novel, Taylor makes a chilling discovery. The fire and deaths were not accidental. His wife, a prosecuting attorney in New York, had inadvertently uncovered a government scandal and was silenced before she could expose it. Betrayed by some within the very government for which Taylor had sacrificed his life countless times, he seeks out those responsible for the deaths of his loved ones. With no one he believes he can turn to, no one he can trust, and no foreseeable path to justice, Taylor becomes an assassin. As the number of his victims increases, a criminal investigative team under the leadership of legendary FBI Special Agent Bill Gladding is completely baffled by the skills of an assassin so skilled that the media have dubbed him the Ghost Assassin. Taylor and Gladding end up on a path neither of them would ever have anticipated. And where it leads is the most astonishing thing of all. Ronald Lane Woodruff, a man with a mysterious past, lives a life so secluded that no one else in the world knows his true identity. But, this name is simply the latest in a list that former Navy SEAL Lt. Commander Kent Taylor has created in order to remain hidden. Taylor believes that he has both lost and forfeited all rights to normalcy and a fulfilling life. The shadows of his yesteryears continue to haunt and torment him. In this captivating suspense/thriller, Taylor finds that the walls that have protected the dark secrets of his past are beginning to crumble and he is being challenged to reveal himself to a world he left behind. Once again, FBI Special Agent Bill Gladding is leading the search for a supremely skilled serial killer whose skills seem only matched by the man they once called The Ghost Assassin . As the killer continues to leave his victims behind in his wake, it becomes clearer that Kent Taylor may be the only man alive who can stop him. No matter what name he hides under, there is nowhere on earth where Kent Taylor can escape his true identity and dark past. In the third thriller/suspense novel of the Nowhere Trilogy, Taylor is once again united with former FBI Special Agent Bill Gladding and former agents Jonas and Sally Blair. Just when it seems that the former Navy SEAL Lt. 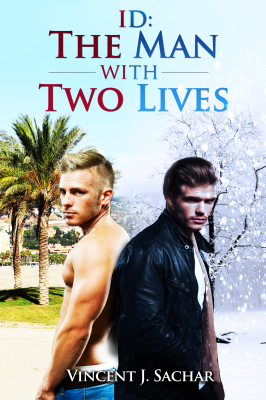 Commander has found the keys to living happily ever after in paradise with his precious Katie, an urgent crisis arises and his incredible skills are needed. When a local murder spins out of control and leads directly to a trail of international intrigue and terror, Taylor, Gladding, Jonas and Sally find themselves pitted against a rogue group intent on drawing the United States into a foreign war. Soon, it becomes increasingly difficult for Taylor and his small team to know just who can be trusted. Members of the rogue group are formidable themselves with strong backgrounds and a seemingly endless web of connections. It will take a man of Taylor's unique level of skills and uncanny awareness to lead the charge against such a powerful force. Through it all, Taylor struggles against the darkness of his past in the hope that he will not end up back in a world where he has vowed never to return. Kent Taylor---call him by any other name and the result will be the same. Somehow, he will be challenged to save not only his own life, but the lives of others he loves. We are all familiar with Mark Twain's "A Connecticut Yankee in King Arthur's Court." ​This story is more like ​A New York Yankee in Cajun Bayou Land. Chad Darrington never expected that he would become a national hero. He also never expected that he would go from hero to icon to a man racing to save his family and his own life. 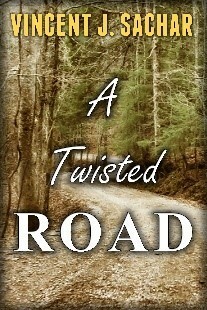 A Twisted Road (an eBook only thriller/suspense novella) tells the story of a man who finds himself as the centerpiece in a battle against powerful forces fighting to suppress and control the lives of so many others. As people rally behind Chad, he soon finds himself targeted by those who need to destroy his influence. And Chad is forced to look deeply within himself and determine where his values, principles, and level of courage truly lie. Sachar blends humor, drama, thrills, and suspense to keep a reader turning the pages from beginning to end. More than five years ago, Brett Gatlin traded opportunities to join top national law firms or Fortune 500 corporations for the shield of a DEA Special Agent. The impetus for Gatlin's career choice was the murder of his kid brother, Derek—who was a gang member and hooked on heroin. After undergoing the rigorous training to become a special agent, Gatlin added to his stature by becoming a member of the DEA's Rapid Response Team, now replaced by Special Response Teams. But, Brett Gatlin went one step further when he agreed to be one of six special agents to comprise the most elite DEA special ops team in history. The undercover team, named Subterraneo, had additional training provided by the FBI, CIA, and Navy SEALs. 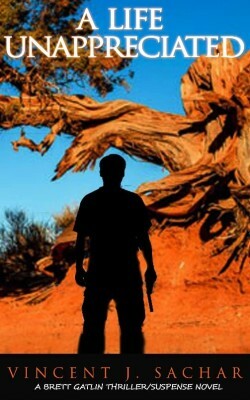 After four years working undercover, Gatlin is the sole survivor of a Sonoran Desert bloodbath in which twenty-nine federal agents were killed. But, when he crosses the border into the United States, Brett learns that he is accused of being a traitor and is the target of a nationwide search by law enforcement officials—all operating under an edict to capture him dead or alive. From hero to fugitive, Gatlin is striving to remain alive while attempting to solve the mystery of who set him up as a marked man. Help comes from a few unexpected sources, but everything comes with a heavy price. A Life Unappreciated—can one man overcome the powerful forces set against him? In this Seasonal novella, fourteen years ago, Stanley Kovaleski quit on life and moved to an isolated cabin in the mountains of Montana. Among all else, he left his two children behind in the world he would no longer be a part of. Now, following a visit with his physician, Stan learned that life itself was quitting on him. As Stan drove away from his doctor's office, he left all the glitter and displays of the Christmas Season behind. By the time he reached his secluded mountain cabin, there would be no evidence of anything festive. Years ago, Stan started treating Christmas as any other day or season. On the way home, in the early stages of a strong winter snowstorm, Stan spots a young boy walking alone out from the woods. He takes the child to his cabin to provide warmth, shelter, food, and safety, until he can bring him to the proper authorities to assure his safe return. The young eight-year-old boy seems to know more about Stan than he possibly should. As they remain trapped for a few days at Stan's cabin, the child begins to impact upon Stan's life in a way that Stan would never have imagined. 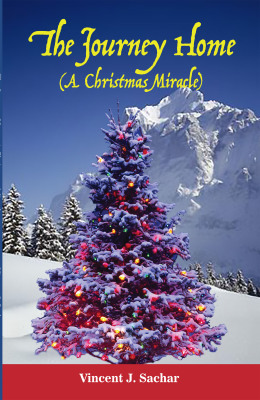 In this heartwarming holiday tale, Stanley Martin Kovaleski stopped to rescue a young boy unaware that the child may well have been sent to rescue Stan. Mystery/Suspense/Thriller --- "A cool breeze numbed Heather's face and caused her to shiver. The night suddenly seemed colder and foreboding. As Heather walked into the crime scene home, she grimaced and felt a prickling in her scalp and a quiver in her stomach. She sighed deeply, then walked up the steps to the bedrooms." Detective Heather Lance is young, feisty, and impulsive, but she's also a highly-talented police detective. 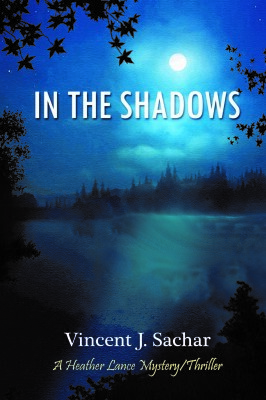 "In the Shadows" has Heather confronted with the most challenging criminal case she's ever handled. 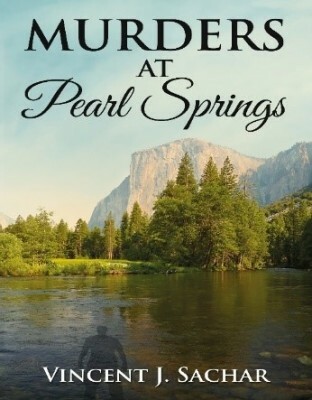 A popular district attorney with eyes on the governor's mansion is murdered along with his family. As Heather engages in her investigative work, shefinds herself in the state capital, the downstate farming area, and in a federal prison with the most notorious criminal in the state's history. As the list of suspects grows, so does the number of victims. Soon, Heather's life is on the line. A real"who-dun-it" with twists and turns, "In the Shadows" will keep you entertained, guessing, and on edge until its shocking conclusion. 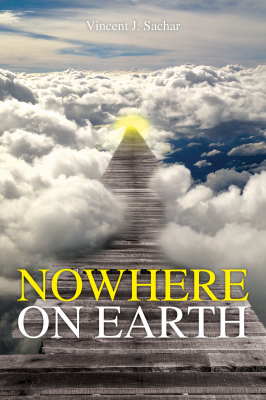 Available as a paperback or eBook on Amazon (amazon.com/author/vincentsachar) and other popular websites or on order from Barnes & Noble and other bookstores. Autograped copies are also available directly from the author. Jody Newman exchanged life on a small family-owned ranch in the majestic settings of Wyoming's East Yellowstone Valley for a fast-paced, high-opportunity life in New York City. In doing so, she shed her small-town values and ideals, including the celebration of Christmas. Now, for the first time in three years, Jody returns to Wyoming to spend the holidays with her familyWhile she's there, she gains fresh insights on things she lost along the way. She sees how neighbors respond to one another, how little it takes to bring joy into the hearts of people, and the things people value that have nothing to do with exorbitant price tags or fame. As a bitter winter storm moves in, Jody's twin five-year-old brother and sister suddenly disappear in the frozen dark forest behind the family home—an area also known to be home to grizzly bears, a rogue cougar, and "the man in the woods"—a mysterious stranger. Jody is amazed at how neighbors, sheriff department personnel, search and rescue teams, and medical personnel are all on the scene risking their own lives in an effort to find these little ones. As darkness moves in, the threat of freezing temperatures has the rescue teams pressed against time. Fears that the children may have been abducted escalate. It becomes clear that it will take a Christmas miracle to save them. And, at the same time, Jody realizes she needs a miracle in her own life. Order books here at book price plus postage and handling. We'll mail autographed books out to you at wherever you designate. Just include the address to be shipped to and whether you want an autograph personalized to anyone in particular and we'll take care of the rest. How do you explain things when the impossible occurs in your life? On a cold icy night in Minnesota, Jeff Norman is involved in a one-car accident. He ends up in a coma in a Minnesota hospital. Days later, Jeff regains consciousness. But when he does, something is shockingly wrong. He's in a hospital in Florida and everyone, including a wife and two children, sees him as Avery Douglas. He alone knows his true identity. Everyone attributes Jeff's claims that he is not Avery Douglas to the head injury he suffered. 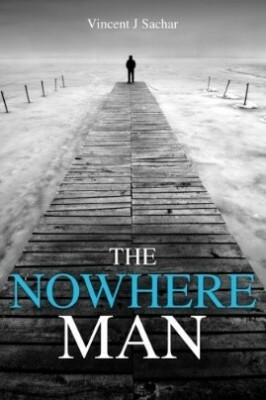 Jeff engages in a seemingly impossible quest to solve a mystery that no one, other than himself, believes has occurred. Living in another man's identity may not seem as onerous when the man lives in a beautiful five-bedroom home, with an indoor pool, in a gated community with a gorgeous wife and two children. But Jeff soon learns that when you live in an assumed identity, you also inherit all of that man's suspicious activities and the people who are pursuing him. Jeff soon learns that his life and the lives of his inherited family members are all in danger. The clock is ticking, and Jeff must solve a number of things before it's too late. ​​​​There's a revolution occuring in the publishing world making it easier to publish a book. Have you ever thought about writing a book? By some estimates, 81% of Americans believe they have a book in them that they should write. Needless to say, most of these people never do. But, ​For the Writer in You is also for the person who'd simply like to know more about the process of writing and today's publishing world. ​This book is an easy and fun read tailored for the person who is hungry for more insights on writing and publishing. You'll travel inside the world of writing and the mindset of authors. You'll discover some of the things you need to do before you begin writing and learn about things that help make a book a good read. Learn some key writing techniques and gain some insights regarding and comparing traditional publishing and self-publishing. 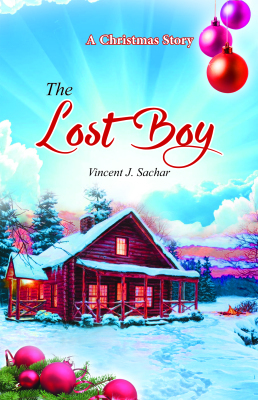 Vincent Sachar is a hybrid author with both an traditional publisher and someone who also self-publishes. 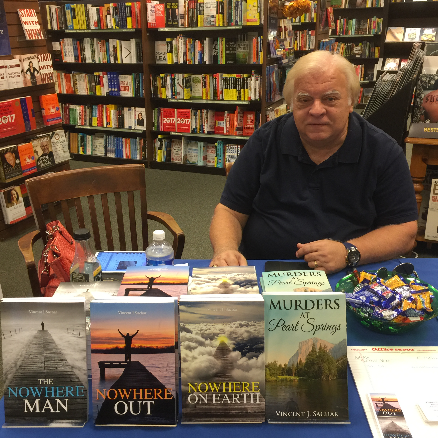 ​Sachar's books include mystery/thrillers, an autobiographical memoir, a Christmas novella, a suspense/thriller novella, and a life-swap thriller. His books have sold in the United States, the United Kingdom, Germany, and India. 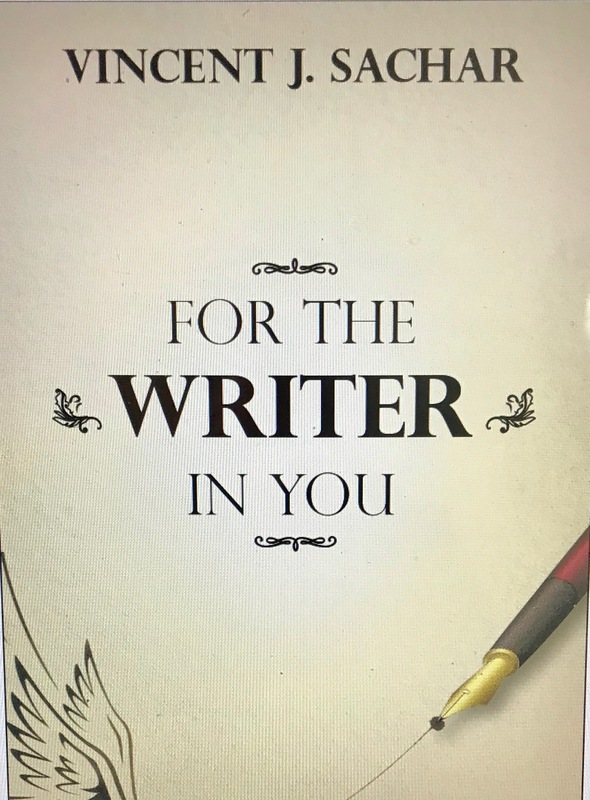 ​If you're interested in what it takes to write and publish, thisn book is for you or, better stated, it's for the writer in you. ​​To begin with, I am one of the many who possess a passion for writing and a willingness to sacrifice to do something I really love. To date, my published works include novels, novellas, and short stories and I'm still actively writing and creating. I have additional manuscripts that have not yet been published or released. I've conducted book events at libraries, bookstores, book clubs, and other unique venues. I've been a panel member at international book conventions and have spoken at universities, colleges, high schools, and even at an elementary school. I've conducted radio interviews, internet website interviews, and participated in blogs. And in many respects, I feel as if I am just beginning. I wrote my first two novels while employed full time in a highly-responsible position as a managing director of a global consulting firm. ​After several years, I am now a "hybrid author," which means I have a traditional publisher, but I also self-publish. ​As my Bio states, I am an attorney by profession, having earned my Juris Doctor Degree at St. John's Law School in New York. My legal career consisted primarily of in-house corporate work, including a position as the youngest Vice President, General Counsel, Corporate Secretary within my industry in the nation. In my last position before retiring and writing full time, I was a managing director in the legal division of a global consuting company. ​People often ask when I first became a writer. Hah! To be perfectly honest, I've been a writer all of my life. No, I've not been a published author until recently, but writing has always had a place in my life. My wife, Gwen, and I were recently going through some boxes we had put away and we found a poem I had written when I was eight-years-old. I recall writing stories while in elementary school. When President John F. Kennedy was assassinated, I wrote a poem. I kept a journal throughout the years. Writing has always been something rooted deep within me. I named my author website "Yborn Creations" based upon Mark Twain's quote: "The two most important days in your life are the day you are born and the day you find out why." I call them "yborns." They represent something that has always had a place within you. You could never shake loose from them. Writing is my personal yborn. There's an ancient Chinese proverb that states: "The best time to plant a tree was twenty years ago. The next best time is now." When it comes to writing published works, I missed my "twenty-years-ago." 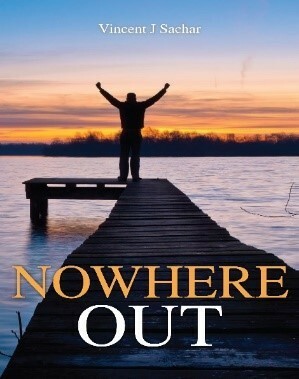 In recent years, I found my "now." 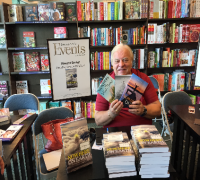 ​I love conducting book events and meeting with readers. Gwen attends every function with me and will join in the presentations. In schools, I speak at assemblies and often teach a class. We do not charge a fee nor sell books at these events. We focus on communicating with and encouraging students.